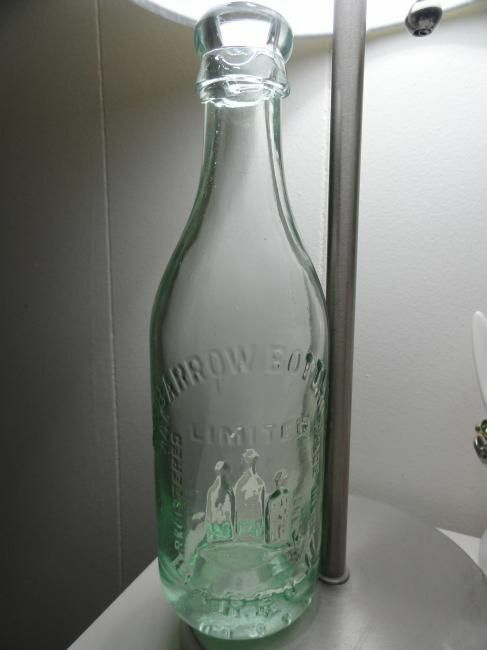 I have an aqua Barrow Bottling Company Bottle with a nice a tooled top. 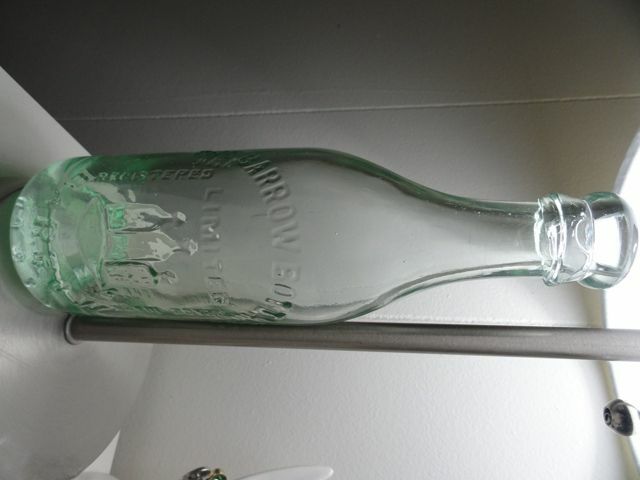 The bottom of the bottle has arched embossing. 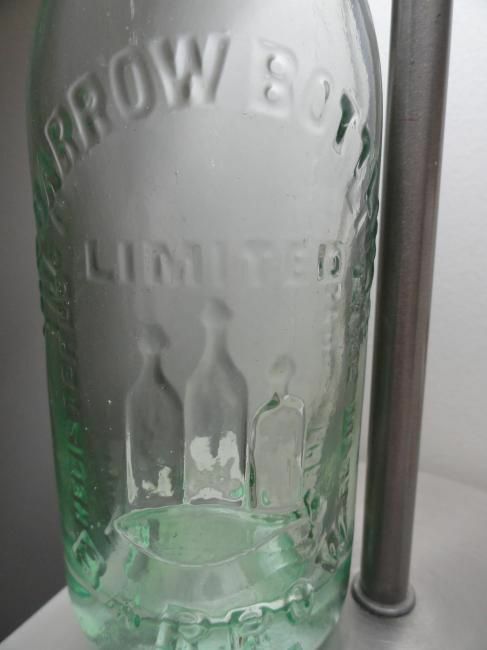 The top of the base is embossed with 1697 and the bottom is embossed with C.S & Co. As you can see in the picture, The "o" in Co is scripted next to the top of the "C." The face of the bottle is beautifully embossed with the words, The Barrow Bottling Co, BARROW, Registered, Limited Trade Mark. In the center of the words is an embossing of 4 bottles. 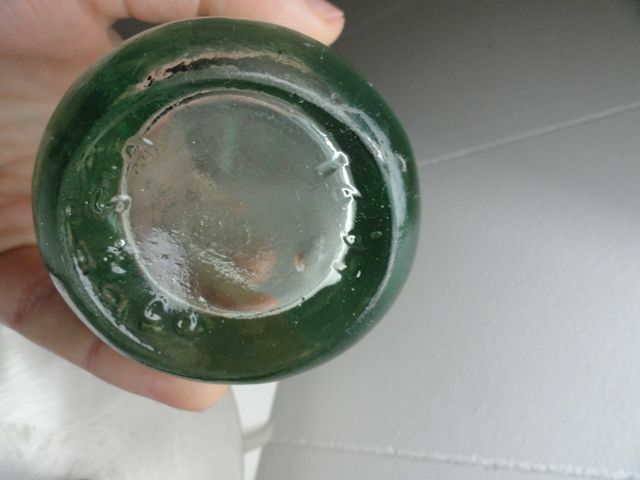 I found only limited information about the C.S & Co and very little about this specific mold. 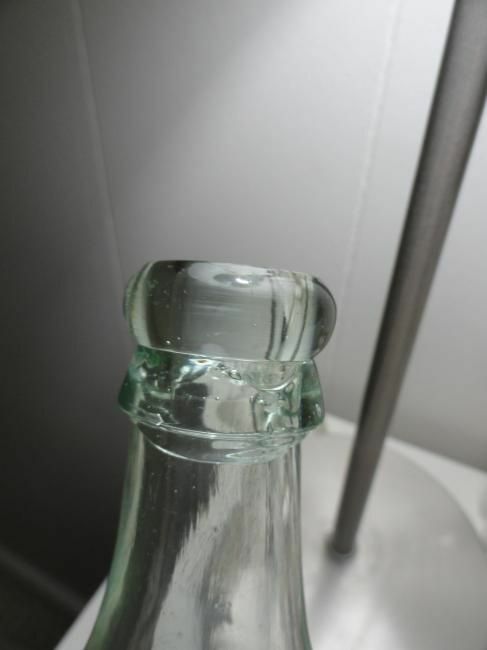 With the above information and the pictures, I was hoping you could shed a bit more light on this bottle. Is it rare? Is it worth anything? Was it beer or soda? The first pictures are not so clear when blown up. Hopefully these are better. Not sure if soda or beer but can say it is of English origin. The picture of the bottles definitely adds to its appeal. 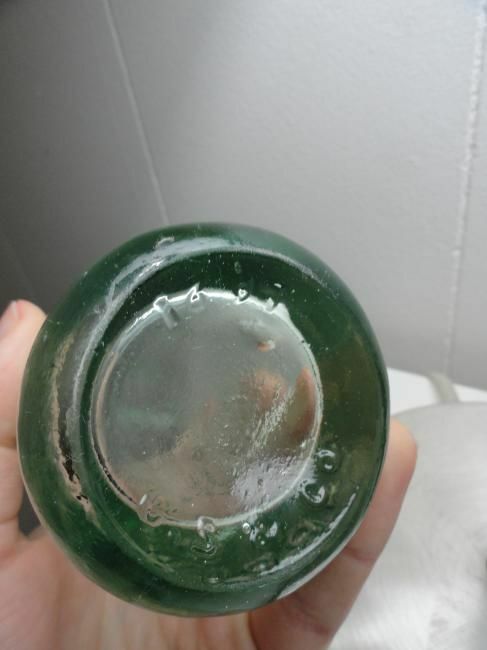 Found this green tinted Jar/Bottle today. It is 8 inches tall and 4 inches in diameter (base) and just under 2 inches at the mouth. 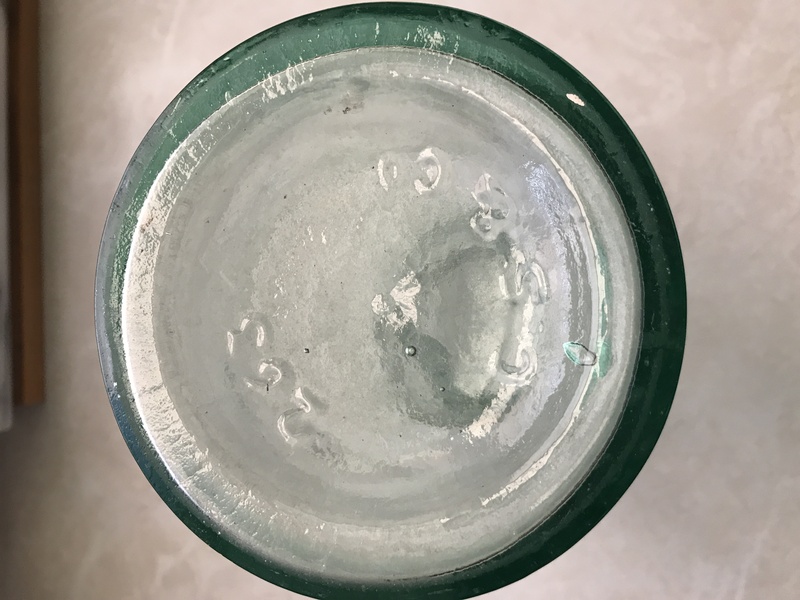 It has the marks C.S & Co and the number above 263. I am hoping someone can tell me more about it. 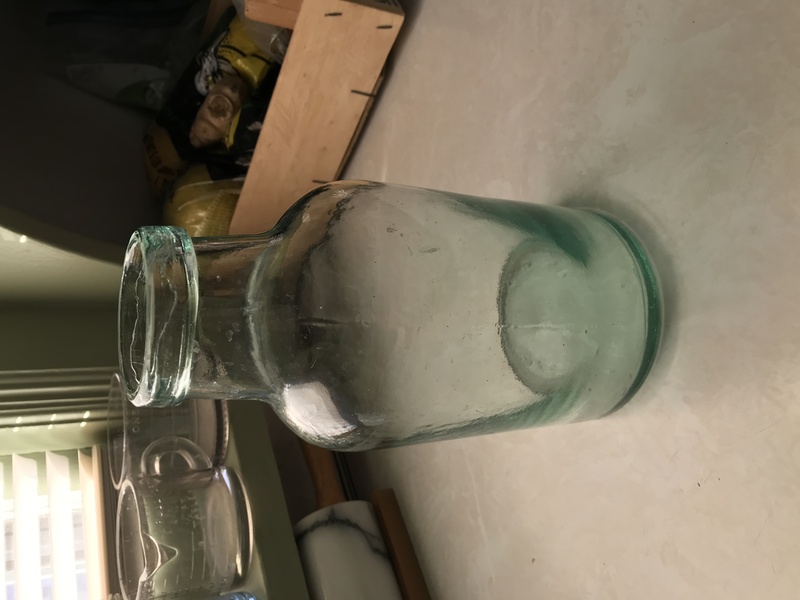 @VikiAnderson - I presume this shape jar was for some food product...the wide mouth suggests the contents were a non liquid. As for CS & Co - it is Cannington, Shaw & Co. - see the link above which provides a great bit of research on this British company.